The company was established in 1994 and has become one of the leading packaging manufacturing concerns of the country. In a short span of time, the company has been able to establish a good customers list in the books from the various industries of Pakistan including Nishat Group, Engro Group, Sapphire Group, Highnoon Group, Shakarganj Group US Group, Haleeb and many more. We believe in building lasting relationships with our valued clients. This becomes possible only with our understanding of client requirements and fulfilling them. We are capable of making corrugated boxes for any application to the clients' complete satisfaction. The company has manifested itself as a quality producer of the packaging and paper products and has attained position of Preferred Supplier among its customers. The company maintains strategic business relationship with leading organizations of the country. KPPL is managed by a competent team of professionals in all the relevant fields like Production process, Technology and Engineering, Finance and Business Management and HR. New King's Packages has pioneered several innovations in packaging industry and has constantly increased our production capacity. Underlying everything we do and everything we believe in is a set of core values. These guide us to deal with every aspect of any issue we might encounter in our personal and professional lives. These values help us grow inside & outside, personally and as an organization. We are committed to running our business successfully and efficiently, providing long-term benefits to our employees and shareholders, and enriching the lives of those whom we serve by fulfilling our corporate responsibility to the best of our ability. We expect excellence from all processes, whether they relate to policy formation and accounting procedures or product development and customer service. Our policies and core values are aimed towards creating an informal yet stimulating team-oriented work environment with a culture of sharing and open communication. We cherish the diversity of viewpoint of every individual; we realizes this encourages innovation and develops character. All employees have the right to a stress and injury free work environment. We ensure our employee health and safety by providing various in-house facilities such as a gym and making sure that all staff understand and uphold our safety policy. All our employees are permitted and encouraged to afford time and attention to personal concerns. The success of any organization is largely dependent on the people working for it. Each member of our team is considered equally important and provided constant training, motivation and guidance. We possess a dedicated staff of the highest caliber committed to making our business a success. We ensure that every employee has the opportunity for maximum professional development. To achieve this goal, we seek to provide challenging work prospects for all employees. Each person is compensated and rewarded for his or her performance and hard work on a strict merit basis. We expect and encourage our employees to actively participate in community service and to take care of the environment entrusted to us as citizens sharing the earth€™s resources. We are customer-driven; we go the extra mile to make sure our clients€™ expectations are met and exceeded on every issue. We partner with leading companies to arm ourselves with the latest technology and provide customers with innovative solutions in the most cost-effective manner available. We make it clear that being a sincere, honest and decent human being takes precedence over everything else. In the Packages family, there is an all-round respect for elders, tolerance for equals and affection for youngsters. Managers are expected to lead from the front, train junior colleagues through delegation, resolve conflicts quickly, be visible at all times and act as role models for others. 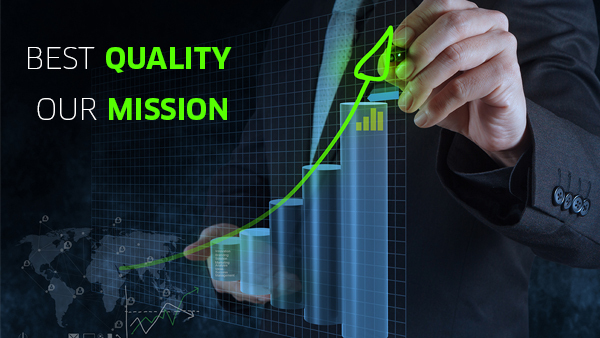 We are committed to high standards of ethical, moral and legal business conduct. In line with our commitment to open communication, this policy aims to provide an avenue for employees to raise concerns and reassurance that they will be protected from reprisals or victimization for whistleblowing. activities that are not in line with NKP policy, including the Code of Conduct; or. We make sure that all our processes and methods conform to the highest ideals of professional behavior. Our organizational structure is straight-forward and need-based; accountability is transparent, consistent and both horizontal and vertical.